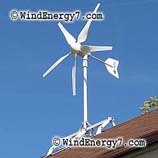 WindEnergy7.com – This is our Residential Wind Turbine Kit from WindEnergy7.com. The system you see here is a 4.2kW rooftop wind turbine system. WindEnergy7 patented their invention of the rooftop wind turbine kit which solves the problems of noise and vibration to the home. Our smooth, quiet system can run your meter backwards and generate enough electricity to power and average american home.Many customers have found it easy to become customer with our wind turbine training. Our systems all qualify for the IRS 30% small wind tax credit which pays for 30% of your hardware and installation costs. 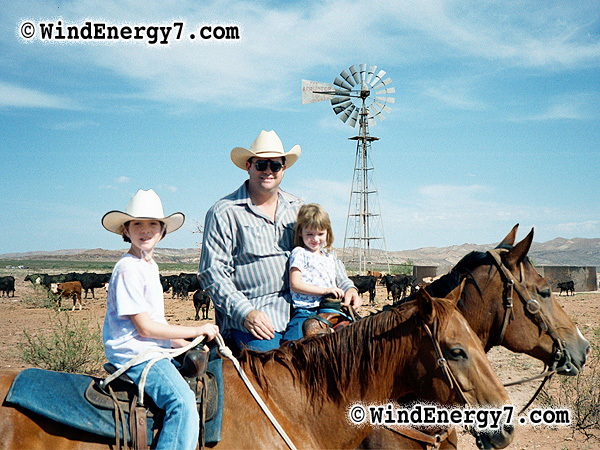 WindEnergy7 LLC – Ohio Based Home Wind Turbine, and Solar Energy Product Manufacturer. Inventor of the RoofMill™, the first and only complete Wind/Solar Hybrid system kit. We also sell the TowerMIll™, the fist and only complete engineered Wind/Solar Hybrid system for use as a tower mounted Home Wind Turbine system. I grew up in far west Texas, same area as the most productive wind farms in Texas. I used to work on Aermotor water windmills on the Delaware mountain ranch where I worked during the summer in high school. This is the location of a very successful 35 MegaWatt wind farm today. My fathers ranch in Texas had productive home windmills producing water for the cattle. So, I’ve always been into windmills and how reliable they are to operate etc. I have decided to show customers a few of the windmills here from the ranch. 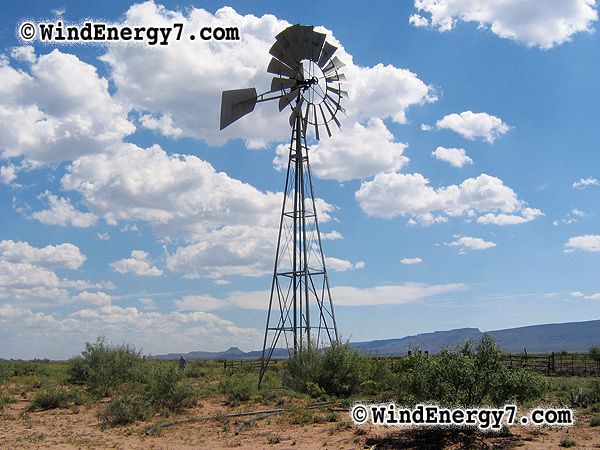 The great experience that I had in my early years were what has driven me to the inventions and innovations that WindEnergy7 LLC has in it’s product lines. You see, I am not new to windmills and windpower. My family has used wind power for many generations to water our cattle. My family has been watering cattle awhile in Texas, were ranching in Texas before the range was fenced. WindPower is great and always has been a reliable source of proven energy. I have been around windmills my whole life. 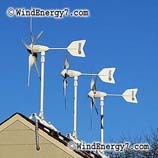 I have applied my experience and skill into the most advanced Home Wind Energy technology available today. These windmills pictured have run for many, many years. Although they are quite different from my Home Wind Turbine systems that I sell today, you would be surprised how much I have carried into my new technology. My new systems are designed to withstand heavy winds, to be reliable and maintenance free for a long service life. My WindEnergy7 systems are not toys, but serious heavy duty hardware. You can see the West Texas desert landscape I come from. These windmills are pumping from about 900 to 1100 feet deep, watering 150 head of thirsty big cattle every day. There’s no other source of water. Thus, Durability, Reliability, Dependability, are requirements that I put into anything I design. Have a look at this video below. This is my modern windmill for the home, a rooftop design called the RoofMill™. Watch how stout my hardware holds up in a serious wind storm. It’s every bit as serious hardware as the durable, reliable old windmills I grew up with. CLICK ON VIDEO BELOW TO PLAY. This system above is my invention, the RoofMill™ system from WindEnergy7, an invention creating green jobs for US workers. The RoofMill™ provides free electricity, energy security, lower carbon footprint, and emergency back-up power for your residence. From the day of installation, a home windmill has improved your property value. Additionally, you will save money on your electric bill from that day forward. You can install the home wind turbine system yourself, or get an estimate from your local Electrician for a turn-key installation. You can also become the local dealer if there’s not one already established. The opportunity that I promote today is the ability to have your own wind turbines for your residence, community school, farm or ranch. The economic opportunity of wind power is for ALL individuals and landowners, not just power companies and super rich developers. Windpower, its benefits and economics are fully scaleable, from giant utility wind turbines all the way down to a small home wind turbine. This is a TowerfMill™ system from WindEnergy7, another innovation creating green jobs for US workers. The TowerMill™ provides free electricity, energy security, lower carbon footprint, and emergency back-up power for your residence. If you have the space for a windmill tower, this product may be something you would like. You will save money on your electric bill from the day it is installed. You can get an estimate from your local Electrician for a turn-key installation. We will train and support all the people involved to get it done. You can also become the local dealer if there’s not one already established. CLICK ON VIDEO BELOW TO PLAY. So, that’s what I do and what WindEnergy7 is about. I am working on wind projects and turbines of this scale all over the world. I started WindEnergy7 to facilitate the growth of small wind turbine technology and to change the future of home energy. I have projects in design, fabrication, distribution, and servicing of wind turbines. My goal is to assist homeowners, landowners, and small communities. I have trained customers, dealers, and installers, from Hawaii to New Jersey, Canada, and Europe. We proudly manufacture and ship from Ohio USA. There’s one more thing. It’s the 7 in WindEnergy7, I get asked “What’s with the 7 in the name?” Well, our country is hard focussed on wind and solar energy, renewable energy expansion. Billions and Billions of our tax dollars are being spent to retool the big utility companies generation methods toward wind, solar, and hydro electric. Also, at the same time billions are spent updating and expanding the grid. It’s wrong headed, and all a terrible mistake… You see, a little known fact is that on average nationally 7% of electricity is LOST IN TRANSMISSION over the grid between where it’s generated and where it’s used. Think about that. 7% wasted before it gets to the point of use! That 7% is what my company and my technology is about. 7 is so key to my mission that I put it in the company name. It is about my vision of our energy future that is most correct. More correct than any politician or expert you have ever heard, is my company’s vision of our energy future. I have the technology to generate energy at the point of use, to minimize and eliminate that 7% loss. How good is any kind of energy with 7% you create just getting lost. Would you support an oil pipeline that leaks out 7% on the ground from point A to point B? How about an oil tanker that leaked 7% of the energy resources out in the water as it shipped oil from point A to point B? Or what about if you gas up your car and 7% spilled out on the driveway. Or if you drove that car with the brake on all the time and lost 7% of your gas mileage. Not smart. Just because you cannot see electricity wasted in transmission does not mean it has no value. Whether electricity is made from Coal, Diesel, Natural Gas, Nuclear, Hydroelectric, Wind, or Solar, if you send it over the grid, 7% is wasted, lost in transmission over a grid. It’s a fact. It’s called resistance and as electricity is pushed over distances, heat is built up in the wires, that is loss of energy. In addition I see our politicians blowing our money to retool big utility companies infrastructure. WHY? These big utility companies are making big profits, continually raising prices at will. Why are (WE) paying for (THEIR) new wind and solar capability? They are using OUR tax dollars to retool, then will be selling us power at a higher cost? The kicker is it’s from freely available wind and sun! You have your own wind, your own sun, and now with a RoofMill™ or TowerMill™ , You can have your own electricity made at home. My mission? To bring that technology to others and strengthen all our economic futures by lowering or eliminating the electrical bill for homes all over the world. I am doing it at my home, and am helping others do it too. That’s what the 7 is about to me and what my companies mission is about. To see more videos of our home wind turbines, go to – WindEnergy7.Com – and you can find info about becoming an owner, installer, or dealer of our rooftop wind turbine RoofMill™ systems, or our new tower mounted wind turbines the TowerMill™. There are still areas open for new dealers to become the local source for wind/solar systems. So, if you are interested in becoming a home wind turbine dealer fill out the Contact Form at – WindEnergy7.com – and we can see if your area may still be open for you to become the home wind turbine dealer for your surrounding county territory. You can buy a system online and we ship by UPS. If becoming a dealer interests you, See The Turbine Dealer Video Here. You may become a dealer and or installer if you like, just fill out the Contact Form and let us know what we can do to help you. WindEnergy7.com – There are still areas open for new dealers to become the local source for wind/solar systems. So, if you are interested in becoming a home wind turbine dealer fill out the Contact Form at – WindEnergy7.com – and we can see if your area may still be open for you to become the home wind turbine dealer for your county. 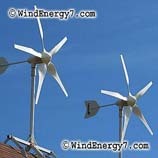 You will find links to pictures that I have published of home wind turbine rooftop system installations done recently. Some are featured in newspaper articles and so forth. WindEnergy7 LLC has invented and filed for patents on a few of the technologies that make home rooftop wind turbines feasible. We have been busy training and supporting owners and dealers from California to New Jersey over the past couple of years to expand our network of local home wind turbine dealers. Our home wind turbene systems are Wind/Solar Hybrid, and are qualified for government tax crdedits of 30%. So, for your investment made in these systems the IRS credits you back 30% within one year of purchase. You get 30% back from the IRS. So, basically the government will pay for almost 1/3 of your investment made in your new home wind turbine energy system. This includes all installation costs and expenses and is a real nice start on your investment payback. Free electricity isnt all you get from a new home wind turbine, as soon as your system is up, you have improved your home value by atleast an equal amount of the investment. Your green energy home is more likely to sell compared to others with no home generation or emergency power system. Think about it. Look at homes for sale.. Can any of them generate their own free electricity, how many can compete with such a solid green energy capability like your home wind turbine delivers. Its also an attention getter and will bring people to see what its about if you ever need to sell, your home has a dramatic edge and a higher resale value. The home wind turbine systems are designed for reliable power output for the next 30 years or so. With every price increase of the utility company power your investment gets better all the time. Utility costs are rising all over and will accelerate over the next few years. We expect the cost of electricity to rise and double over Obamas term in office due to cap and trade and increased regulation and market pressure. To see more videos of our home wind turbines, go to – WindEnergy7.com – and you can find info about becoming an owner, installer, or dealer of our home wind turbine systems. There are still areas open for new dealers to become the local source for wind/solar systems. So, if you are interested in becoming a home wind turbine dealer fill out the Contact Form at – WindEnergy7.com – and we can see if your area may still be open for you to become the home wind turbine dealer for your county. Home Wind Turbine – WindEnergy7 LLC , If you want a home wind turbine, fill out home wind turbine contact form and I can connect you with the home wind turbine dealer for your area. There are still areas open for new dealers to become the local source for wind/solar systems. So, if you are interested in becoming a home wind turbine dealer fill out the Contact Form at – WindEnergy7.com – and we can see if your area may still be open for you to become the home wind turbine dealer for your county. 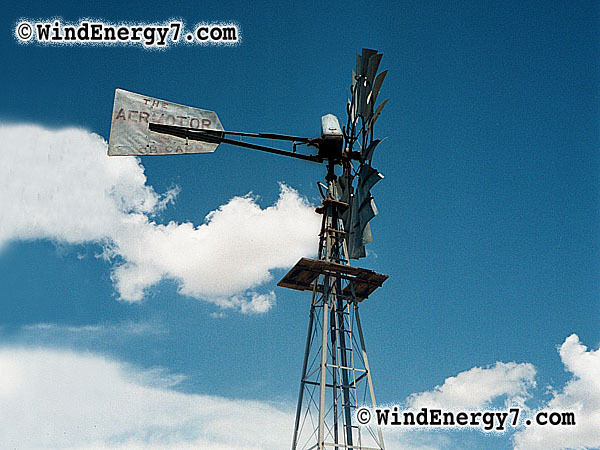 To see more videos of our home wind turbines, go to – WindEnergy7.com – and you can find info about becoming an owner, installer, or dealer of our home wind turbine systems.